Considering that Apple has always been cagey about anything seen as crossing over between or unifying iOS and macOS, if true, this news will be a big deal no matter how far it actually reaches. Other than Continuity, the Shared Clipboard, AirPlay, and iCloud, there are few bridges that directly link iOS and macOS. So, even if this goes no further than having truly Universal Binaries, it will still be a significant shift. If nothing else, this is a HUGE win for the Mac platform and Mac users. iOS has been in the ascendency when it comes to software and features for several years, but the Mac still has more power under the hood, and is going to continue to be necessary for many professional tasks for a while yet. However, it is the basic software that has lagged far behind on macOS. Apple tried to bring the App Store concept to macOS several years ago, and it actually got off to a very good start. A lot of developers brought their apps in and used it as an easy way to disperse updates and to allow users to easily move to a new machine. However, Apple’s strict software and upgrade policies that have been tolerated on their mobile platform rubbed many developers the wrong way when applied to the desktop. As a result, most Mac users would describe the macOS App Store of today as a relative ghost town. If Gurman is right about this program to unify apps between platforms, which he says is codenamed Marzipan, then it should breathe new life into the macOS App Store almost overnight. Developers of iPad apps will be able to add trackpad and mouse support to their current apps to make them usable on desktops and laptops. If the process to do this is easy, we should see several basic apps cross over pretty quickly. This should bring apps that we take for granted on iOS, such as Facebook and Twitter, to macOS in a format that will insure that they stay up to date with the latest features and patches. This will solve one of the macOS App Store’s biggest current problems. Well, the obvious place that most Apple fans go is the eventual unification of iOS and macOS. The tech press, bloggers, and super fans have been batting this idea around for a while now. It comes and goes as features are added to iOS and things change over the years. Apple’s leadership has always been pretty clear in their insistence that there is room for both platforms to exist separately, and their actions to that point bear that out. Until this report, I think talk of unification was in a lull late this year. With the release of new power user features for the iPad Pro in iOS 11 and the Touch Bar’s arrival on the MacBook Pro, it seemed that Apple was content to simply cross-pollinate features between their platforms, rather than taking any steps to bring them together. However, Gurman’s report is sure to stoke those fires again. Short of complete unification, there are some interesting things that can happen to bring macOS and iOS a bit closer and make each better. 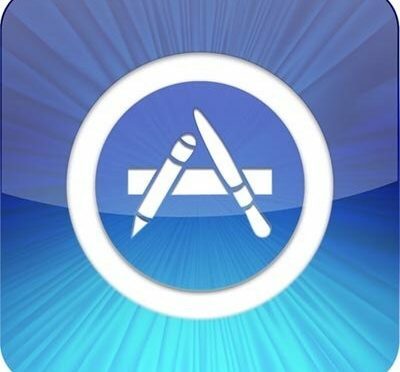 First would be the removal of any artificial barriers between the iOS and macOS App Stores. Right now, we have a store for the iPhone, iPad, and Watch, one for the Apple TV, and another for the Mac. Eventually, it would benefit all Apple device users if the company can get this down to one unified store with the same look, feel and basic operation. Two more changes that some users have been begging for have been the ability to use a mouse or trackpad with an iPad, and the addition of a touchscreen to the Mac. 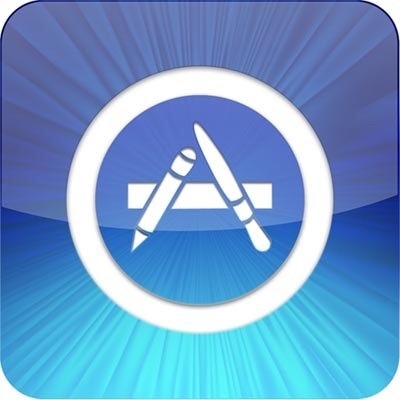 I don’t think either is going to happen, but in theory, this change to the App Store could open the door to such a move. A Universal Binary compatible with both iOS and macOS with the ability to use either input method included makes such a move logistically possible. Now it’s up to whether Apple wants to head in that direction, which I unfortunately doubt. If Marzipan turns out to be a real thing, then it will be a big shift in philosophy for Apple. Even if it is limited to the smallest possible scope of allowing shared Universal Binaries, it is still to big to ignore. However, there is also a real possibility that this could be just the beginning of a set of much bigger changes to come. The fact that Marzipan could be a multi-year project leads me to believe that there is more to it than we see here. Of course, this same comment also says that things could change, or the whole program could be scrapped. All of the wiggle room here will make for a lot of interesting discussions between now and WWDC 2018. Whatever happens, this report has definitely revived the discussion on the distinctions between iOS and macOS, where both are headed, and what features Apple is considering adding to each in both the short and long terms. Do you think Marzipan is real, or will end up being implemented by Apple? What do you think of this potential link between iOS and macOS? Where would you like to see such a move go in the future? Let me know in the Comments section below, on Flipboard, on our Facebook page, or on Twitter @iPadInsightBlog. This is already working and has been, for more than 1year. I use the app “Notability” across all Apple devices. It works perfectly and updates on all devices instantly no matter which device I am working on. I use Notability too, and love that it syncs across devices. However, what This report is saying is that Ginger Labs, the developer of Notability, could make one install file for both iOS and macOS in the future. Right now, they are two completely separate code bases, which takes devs more time to keep up. Allowing devs to do this will bring some iPad-only apps to the Mac because it will be much easier to do. It will also mean much faster updates on the Mac, as devs won’t have to do the work twice. Apple has fought about making IPAD/MAC the same. You have to think from their perspective what would it mean from Apple’s serspective? I think they wanted to keep a clean break between legacy and modern. Unfortunately, the App Economy That fed the iPad to such a fast rise stalled and that has slowed its progression until iOS 11. I think they are in a position where they may have to embrace more crossover because iOS just isn’t ready to take the role of lead computing platform for the majority of Apple users yet. We shall see.